Run at Peak Performance. Achieve Success. 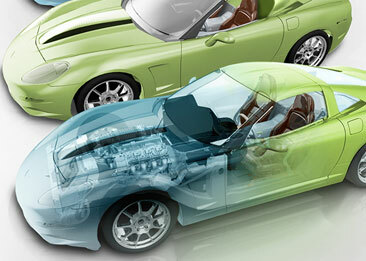 In choosing PTC software solutions, you're well on your way to optimising performance and gaining a competitive edge. But working with the world's best product development/content management tools and services are just part of the roadmap to success. There is another equally essential element - a comprehensive maintenance support program. The Concurrent Engineering Maintenance Support offering provides you with the Team, Technology & Tools to enhance and sustain your software investment. Improve your efficiency with fast answers to your technical and software usage questions from Technical Phone Support - 24 hours a day, 5 days a week, in multiple languages. The technical support team of over 200 ISO 9000-certified engineers, utilising one worldwide database, offers timely and accurate resolution of your issues. Maximise your software investment with maintenance and new releases developed with PTC's (Concurrent Engineering Technology partner) quality commitment to CMMI, the only CAD vendor with this accreditation. Accelerate your performance by staying current with the latest releases of your software and taking advantage of new features and functions developed to help you be more productive. Enhance your productivity with online Technical Support, Web-based "Tips & Techniques" sessions, and administrative tools - all from your own desk. Exclusively for active maintenance customers, you'll find the answers you need in our 25,000 document knowledgebase, sharpen your skills with live and recorded software productivity sessions. Orientation Presentations will help you leverage Support to maximise your software investment. Live and Recorded presentations provide detailed instructions for accessing, utilising and benefiting from the Maintenance Support program. Maintenance Support is offered in Gold - our standard level - and Enterprise with additional Premium Support Options available.